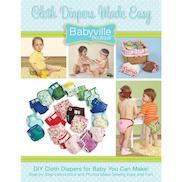 Many mums have turned to cloth diapers as an Earth-friendly alternative to expensive disposable nappies. 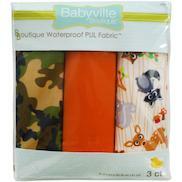 Babyville's soft waterproof PUL prints and solid fabrics, and the exclusive coordinates, make sewing fun, easy and rewarding. 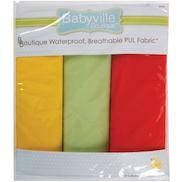 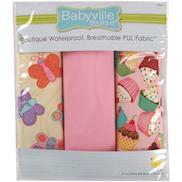 Babyville's not only for diaper sewing but for craft and home décor sewing as well!